All the debate, all the policy, all the smoke screens and diversion, all the pain and all the suffering inflicted on energy consumers, and for what? What it boils down to is reducing greenhouse gas emissions from burning fossil fuel, the key components driving elevated global temperature and subsequent climate change. And, this has been going on for how long? The United Nations Framework Convention on Climate Change was adopted in New York on 9 May 1992. Back then atmospheric CO2 was 356ppm. In 2018 we have recorded a staggering 412.6ppm and rising exponentially. To get a grip on “parts per million” – A headache pill goes to every cell in your body to relieve pain. 500mg (1/2gm) of paracetamol = 5ppm of 100kg of body mass. You would need to take 80 headache pills for your body to reach 400ppm. Reducing CO2 emissions by 20% or even 45%, as targeted, still adds to the problem of ever increasing atmospheric CO2, the key component driving global temperature, extremes in weather and rising sea levels. We can reduce CO2 emissions but, we still have a splitting headache when it comes to climate change and, it’s not going away. It doesn’t matter how much politicians argue about climate change and it doesn’t matter how much they debate % reductions in CO2 emissions and, it doesn’t matter how much financial pain they inflict to reduce our electricity consumption. CO2 levels in the atmosphere continue to rise! Reducing CO2 emissions by 50% or even 75% defers the problem but not the inevitable catastrophic climate change staring us in the face. The negative response, taken by Government, to penalise and tax C02 emissions has met with wide ranging opposition and I refer to the failure to agree on emission reduction targets in Paris and the Australian Federal Governments deferred implementation of an Emissions Trading Scheme and subsequent abolition of that CO2 taxing scheme. The tax now is hidden from us, only to be felt in our pocket. The solution then for Government and mechanism to gain across the board public support would be a positive response. This aims at atmospheric CO2 management including, in particular, removing CO2 from the atmosphere, reforestation, incentive-based emission reduction guidelines, support for alternative energy and a bipartisan approach to climate change policy. Time for a rethink … Along with CO2 emission targets we also need to take the bull by the horns and manage atmospheric CO2 levels. We need to reduce atmospheric CO2 to pre-industrial levels or at least, the original “92 Convention” safe target of 400ppm. Going hysterical about what we pump into the atmosphere won’t save us – reducing atmospheric CO2 concentration is the only real solution and none of our politicians seem to get it. If they stick with the band-aid solutions we all burn – literally. 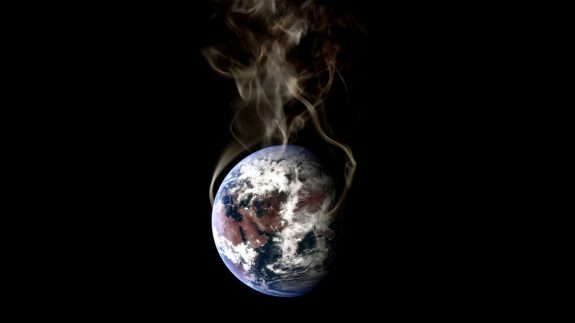 We changed it, so we need to fix it: Irrespective of the compelling arguments for and against the reasons for climate change there remains one fact that can’t be dismissed and that is the ever-increasing level of atmospheric CO2. Regardless of our opinions, the very least we can do, for future generations, is to address this issue and reduce or stabilise atmospheric CO2 to below critical levels. We have an obligation. O.K. What we need is a concerted effort by global governments, the scientific community and big business to extract CO2 from the atmosphere. It doesn’t matter what it costs, we are talking survival of the species. Instead of adding 2ppm of CO2 to the atmosphere every year, lets strip 2ppm of CO2 from the atmosphere every year and, that guarantees the future of humanity. What governments and fossil fuel conglomerates are doing, at the moment, guarantees nothing. In a nut shell, it doesn’t matter what our CO2 emissions are – they need to be extracted from the atmosphere and contained or re-cycled. You see, there are solutions and there are ways to remove CO2 from the atmosphere, but our politicians do not listen. With sea levels rising and when the saltwater crocs are snapping at our arses … it will be way too late to drain the swamps. Taking it from the atmosphere and “containing” it is a nonsense. It will escape again. There is absolutely no secure way of containing it long term. Common sense does not grow in everyone’s garden, political parties are not pro-active only reactive and that generally leads to a total ongoing f**ken mess. Example NEG and nearly everything they touch. Imagine what humanity could achieve without them. Most scientists agree that hydrocarbons (oil, gas and coal) are biogenic – formed from the remains of plants and animals and then stored for hundreds of millions of years. All life on Earth, including you Michael, are carbon based. Burning of organic matter releases that stored CO2 into the atmosphere. As just one scenario, it follows that a carbon capture program of propagating organic matter, in sufficient quantity and storing it, just like mother nature has been doing, can reduce and stabilise atmospheric CO2. Some countries have drastically reduced their CO2 emissions in the past 20 years – Sweden for one. British Columbia (Canadian province) Costa Rica, Iceland, Maldives, Norway, Tuvalu and New Zealand have all promised carbon neutrality and are working towards that goal. The National Energy Guarantee had two objectives. Guarantee supply while reducing electricity prices and, legislate to reduce CO2 emissions, as required, when Australia ratified the Paris Agreement. Unfortunately, these two aspects are conflicting if you support the fossil fuel industry. Sasha Baron Cohen aka Billy Wayne Ruddick is all over climax change in this hard hitting interview with Jill Stein.